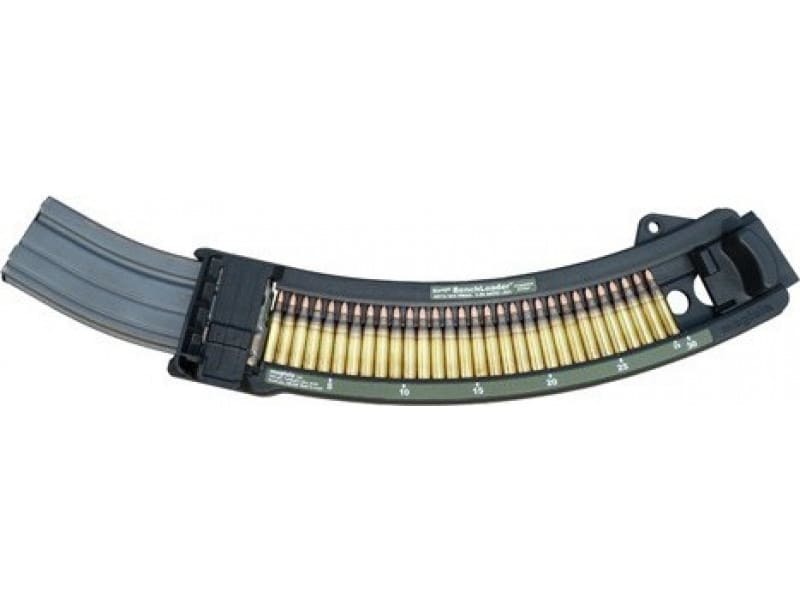 Maglula BL71B: Made for heavy shooters, maglula's Range BenchLoader loader is heavy-duty industrial 5.56 x 45 / .223 caliber magazine loader. It loads up to 30 rounds in a single hand stroke, eliminating finger pain, shortening loading time, and it keeps magazine lips intact. This lightweight loader is made with high-quality materials for durability. Injection molded N12 polymer glass-filled compound with UV stabilization is used for the body and slide; 54HRC hardened steel for the magazine catch tooth; and six rubber feet for positive retention when loading.